There's nothing truly exceptional about these aside from the fact that they're nice and sugary-sweet, but my grandmother always had them on her coffee table whenever we visited. 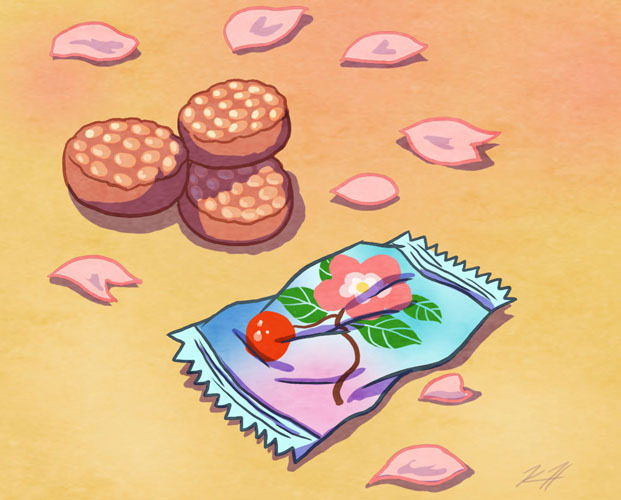 I'd eat dozens of them and swore that the different flowers on each of the individually-wrapped candies made them taste slightly different from one another. It reminds me of when my sister and I, far too hyper-active for my grandparents, would be forced outside into the small garden behind their house in Queens, NY, to pick all the green beans that grew up their chain-linked fence.